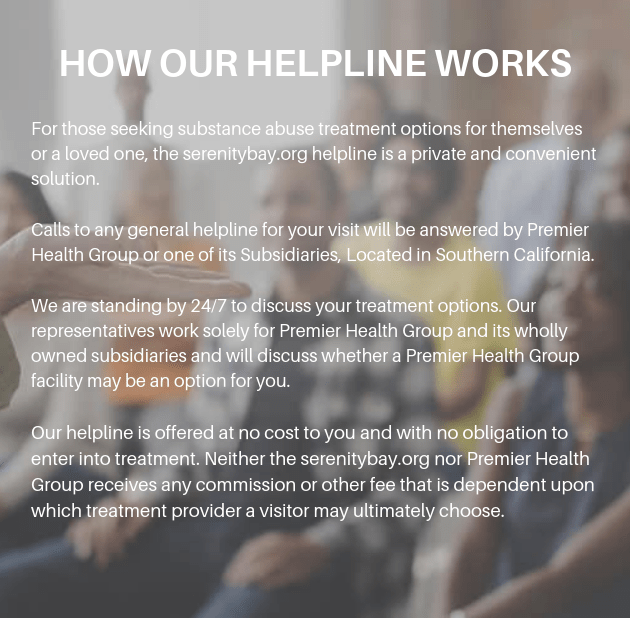 If you or someone you care about is struggling with addiction, the friendly and well-trained staff at Serenity Bay is here waiting to help. No matter what your recovery goals, or your personal needs or responsibilities, at Serenity Bay, we can provide you with a treatment plan that will work for you. Whether that means utilizing more traditional therapeutic strategies, or introducing state-of-the-art treatments, we are well equipped to get you the tools you need. In some cases, this means connecting clients with a 12-step program that places an emphasis on the role of faith in recovery. For others, this means providing them with a holistic treatment plan that includes yoga and art therapy. No matter what the best route to recovery proves to be for someone, at Serenity Bay, we’re committed to connecting our clients with that route. 1Why does treatment need to be customized? Addiction treatment needs to be personalized to the person in question in order to be effective. If your needs aren't met, then you won't be able to stay sober. Even if you manage to make it through rehab, you will surely relapse in the future. 2How long is treatment at one of your rehabs? Treatment at a Serenity Bay rehab usually lasts from 30 to 90 days depending on the person. This is not to say that recovery stops there, that is merely the period of time you will spend with us preparing for treatment in your daily life. 3What does a supervised detox mean? A detox needs to be closely monitored while your body rids itself of the toxins keeping you physically dependent. This may cause unpleasant withdrawal symptoms that need to be adequately cared for with the strict supervision of our employees. Contact us here at Serenity Bay today!